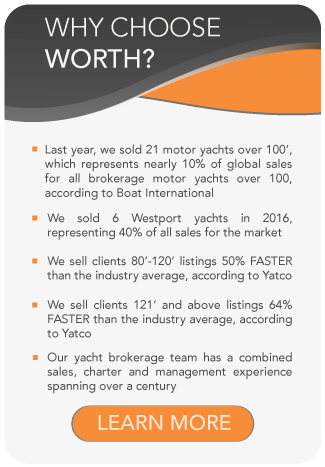 All Dynamiq yachts for sale worldwide are listed below, scroll down to view them. 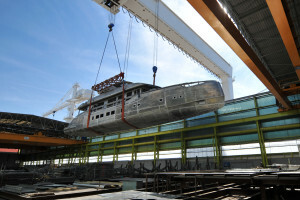 At a launch event hosted at the Yacht Club de Monaco, a new name in world superyachting has been revealed – DYNAMIQ yachts. Based on the principles of innovation and functionality, Dynamiq yachts’s custom yacht builders now present a new category of superyachts: grand touring vessels for spirited long-distance journeys in top comfort and style, fully customizable through an online configurator at www.bedynamiq.com. DYNAMIQ Yachts has pioneered the translation of GT car philosophy to yachts that offer performance, luxury and range in one package – versatile all-occasion superyachts that are designed and equipped for everything from relaxing family cruising to vibrant deck parties. The Dynamiq yachts series offers top speeds over 20 knots, an enormous sun deck and ocean-going autonomy. 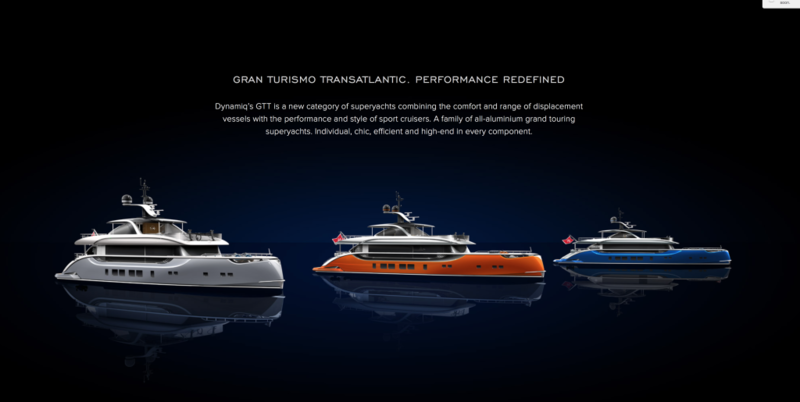 Dynamiq yachts has called this new category of yachts GTT – Gran Turismo Transatlantic. Unlike the other yachts that are either fast and relatively uncomfortable with limited range or full displacement with 16 knots of maximum speed, Dynamiq yachts combines the best of both worlds. Its fast displacement hull can carry you from Monaco to Saint Tropez in just over 2 hours or make the trip from Miami to the Galapagos on one tank of fuel. A shallow draft of less than 6 feet (1.75 meters) also makes Dynamiq yachts ‘Bahamas friendly’ and gives much more cruising freedom. The Dynamiq GTT is available in three base models of very manageable, optimum size: the 127 foot (38.6 metre) D4 base model and S4 sport version, and the lengthened 132 foot (40 meter) D4 L limousine version. The base model is equipped with MAN diesels and Fortjes pod drive propulsion to give a maximum speed of 21 knots, while the D4 S sport version features MTU engines and larger pods for a top speed of 25 knots. In addition, the S4 features carbon fiber styling details to the interior and exterior, model-specific paint options and further interior options not available on the base model. JETSETTER is a perfect, fast family cruiser just below 40 meters built on a platform designed with a shallow draught of only 1.8 meters – ideal for the Caribbean, Mediterranean or Asian islands. With the largest sundeck in her class and four luxury guest cabins, she is the perfect realization of top comfort in a practical and relatively compact size. Thanks to an efficient and light aluminum hull JETSETTER combines top speed of 21 knots with transatlantic range of 3000 miles. Options include a Whirlpool Roman Public 255 sundeck pool, deluxe cushions, and an “all weather” package with wind breaking doors and IR heating.